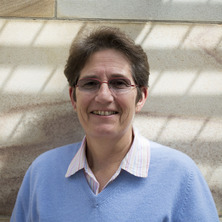 Kim has a background in industry and government research specialising in the use of information technology in agricultural production and agribusiness – particularly in relation to the value adding potential for electronic technologies across agri-industry chains in Production, Electronic Supply Chain, Food Traceability Systems, and Cold Chain Logistics. Her book "E Issues in Agribusiness, the What, Why How" is published through CABI International in the UK. Kim’s main research expertise is in supply/value chain analysis across whole of agrifood industry chains, and in using agent based modelling to construct supply chain risk assessment and performance management scenarios. Four recent Projects have been in 1) Modelling agrifood supply chains as complex systems; 2) Developing risk assessment and performance management criteria in internal business supply chains; 3) Developing a Hybrid Value Chain Framework (HVCF) as a tool for investigating economic development through agrifood chains in small scale societies, and 4) Analysis of the Australian Beef Industry Supply Chain in relation to new technology development. Most recently (May 2013), Kim is part of the successful ARC Transformational Training Hub application in Food Science, Sensory Science and Agribusiness, as a CI leading the Agribusiness Theme. Teaching-wise Kim won the UQ Excellence in Teaching Award in 2004, an AAUT Award in 2005 and a Carrick Award in 2007. In 2012 Kim became the Associate Dean Academic for the Science Faculty, focusing on the Schools of Agriculture and Food Science, Vet Science and Geography & Environmental Management. Bryceson, K 'E' Issues In Agribusiness: The 'What', 'Why', 'How' 1 ed. Wallingford, UK: CABI, 2006. Value chain and market analysis for the Australian guar industry: Is guar a potential industry for the northern region of Australia? Bryceson, Kim P. and Cover, Margaret Value chain and market analysis for the Australian guar industry: Is guar a potential industry for the northern region of Australia?. Kingston, Australia: Rural Industries Research and Development Corporation, 2004. Bryceson, Kim P. and Yaseen, Asif (2018). Smart technologies – Disruptive technologies and the agrifood industry - Fit for practice. In Ozlem Bak (Ed. ), E-business and supply chain integration: Strategies and case studies from industry (pp. 27-50) Great Britain, U. K.: Kogan Page. Bryceson, K. P. and Slaughter, G. J. (2011) Aligning operational and corporate goals: A case study in cultivating a whole-of-business approach using a supply chain simulation game. Extension Farming Systems Journal, 7 2: 7-16. Alignment of performance metrics in a multi-enterprise agribusiness: Achieving integrated autonomy? Bryceson, K. (2003) EBusiness impacts on the peanut industry in Queensland - a case study. Queensland Review, 10 1: 103-122. Bryceson, K. P. (1993) Locust survey and drought monitoring - two case studies of the operational use of satellite date in Australian government agencies. ITC Journal, 1993-3 267-275. Bryceson, Kim P. (1986) The effect of screening pigment migration on spectral sensitivity in a crayfish reflecting superposition eye. Journal of Experimental Biology, 125 401-404. Bryceson, Kim P. (1981) Focusing of light by corneal lenses in a reflecting superposition eye. Journal of Experimental Biology, 90 1: 347-350. Bryceson, K., Fitzgerald, M. and Annison, G. (2016). 'Stakeholder views in the development of food and nutrition public policy in Australia'. In: , , (280-280). .
Dunne, A. J., Collins, R. J. and Bryceson, K. P. (2011). Human capital development through an undergraduate agribusiness program: A reflection on 20 years experience at The University of Queensland. In: 2011 World Food and Agribusiness Forum, Symposium and Case Conference. 2011 World Food and Agribusiness Forum, Symposium and Case Conference, Frankfurt, Germany, (1-8). 20-23 June 2011. Bryceson, K. P. and Smith, C. S. (2008). Abstraction and Modelling of Agri-Food Chains as Complex Decision Making Systems. In: Melanie Fritz, Ursula Rickert and Gerhard Schiefer, EAAA Series on Systems Dynamics and Innovation in Food Networks. European Association of Agricultural Economists110th Seminar, Innsbruck-Igls, Austria, (147-159). 18-22 February 2008. Cleary, J. A., McGregor, M., Bryceson, K. and James, C. (2008). Bush to bottle: Development of a value-driven bush foods industry chain that rewards aboriginal people. In: Proceedings of 15th Biennial Conference: A climate of change in the rangelands. 15th Biennial Australian Rangeland Society Conference, Charters Towers, QLD, Australia, (). 28 September - 2 October 2008. Bryceson, K. (2007). SECI, BA, ESCI and VAG – Linking Models of Knowledge Acquisition, ELearning and Online Immersive Worlds to Create an Innovative Learning Environment. In: Richards, D., Proceedings of World Conference on E-Learning in Corporate, Government, Healthcare, and Higher Education 2007. World Conference on E-Learning in Corporate, Government, Healthcare, and Higher Education (ELEARN), Quebec City, Canada, (2365-2372). 15 October 2007. Bryceson, Kim (2005). Vag: A game of agribusiness supply chain strategy. In: ASCILITE 2005 - The Australasian Society for Computers in Learning in Tertiary Education. 22nd Annual conference of the Australian Society for Computers in Tertiary Education, ASCILITE 2005, , , (115-117). December 4, 2005-December 7, 2005. Bryceson, Kim (2005). VAG: A game of agribusiness supply chain strategy. In: 22nd Conference: Australasian Society for Computers in Learning in Tertiary Education, Brisbane, Australia, (115-116). 4-7 December 2005. Bryceson, K. (2004). ESCIE - The Socialising Model for Online Learning. In: Proceedings of the Effective Teaching and Learning Conference. Effective Teaching and Learning Conference, Griffith Universirty, (). November 2004. Bryceson, K. and Kandampully, J. (2004). The balancing act: "E" issues in the Australian Agri-Industry sector. In: 25th McMaster World Congress, Enhancing Corporate Governance, Management of Intellectual Capital, Management of E-Business. 25th Annual McMaster World Congress, Hamilton Convention Centre, Ontario, Canada, (). 14-16 January 2004. Bryceson, K. and Cover, M. (2004). The innovator's dilemma and solution in new crop development - A case study of Australian guar. In: Proceedings of Second Australian New Crops Conference: Innovation and Change for Agriculture and Horticulture. 2nd Australian New Crops Conference, Gatton, Australia, (). 20-24 September, 2004. Bryceson, Kim (2003). EBusiness and the Dairy and Grains Industry Value Chains in Australia. In: Farming at the Edge. 14th International Farm Management Congress, Perth, Australia, (). 10-15 August 2003. Grace, PR, Post, WM, Godwin, DC, Bryceson, KP, Truscott, MA and Hennessy, KJ (1998). Soil carbon dynamics in relation to soil surface management and cropping systems in Australian agroecosystems. In: Lal, R, Kimble, JM, Follett, RF and Stewart, BA, Management of Carbon Sequestration in Soil. Symposium on Carbon Sequestration in Soils, Columbus Oh, (175-193). Jul, 1996. Bryceson, KP (1993). Australian-Plague-Locust-Commissions Weather-Satellite Receiving System. In: Corey, SA, Dall, DJ and Milne, WM, Pest Control & Sustainable Agriculture. 5th Australian Applied Entomological Research Conf, Canberra Australia, (440-443). Apr 28-May 01, 1992. Hamilton, JG and Bryceson, KP (1993). Use of Enhanced Gms Weather-Satellite Data in Locust Forecasting. In: Corey, SA, Dall, DJ and Milne, WM, Pest Control & Sustainable Agriculture. 5th Australian Applied Entomological Research Conf, Canberra Australia, (444-448). Apr 28-May 01, 1992. Bryceson, KP, Hunter, DM and Hamilton, JG (1993). Use of Remotely-Sensed Data in the Australian Plague Locust Commission. In: Corey, SA, Dall, DJ and Milne, WM, Pest Control & Sustainable Agriculture. 5th Australian Applied Entomological Research Conf, Canberra Australia, (435-439). Apr 28-May 01, 1992. Bryceson, K. P., Brook, K. and White, D. H. (1993). integration of spatial data and temporal models to improve drought preparedness, monitoring and management. In: Conrad D. Heatwole, Application of Advanced Information Technologies: Effective Management of Natural Resources: Proceedings of the 1993 conference. Conference on Applications of Advanced Information Technologies: Effective Management of Natural Resources, Spokane, WA, Australia, (158-168). 18-19 June 1993. Design-A-Wetland a hypothetical model structure integrating multi-functional wetland design and decision support for holistic water management.